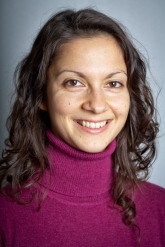 Paulina Mihailova is a PhD candidate in Social Anthropology at Stockholm University since 2007. Her doctoral research investigates changes in higher education in Europe and how new types of relations, linking together different actors, institutions and discourses, emerge in light of the ongoing attempts to create a common European framework for higher education. The research project aims to problematise this development in relation to broader issues of elites, power and meaning-making in a policy context. National education systems in Europe are exposed today to growing international competition. It has therefore become increasingly important to show potential students and future employers what the education provided by a certain institution stands for and that it is carried out in an open and efficient manner. In this light, concepts such as quality, and a transparent quality assurance system based on measurable results have assumed a central role in political debates and decision-making in the field of higher education. By investigating some ongoing university reforms and policy processes (the Bologna Process among others) influencing higher education in Europe, I would like to shed light on the way different ideas and practices (such as quality and quality assurance) are articulated and negotiated between different levels of decision-making. The study is based on fieldwork, which took place partly in Brussels, among organisations, experts and civil servants dealing with higher education issues, and partly in Stockholm, among students and staff at Stockholm University. Focus lies on the concept of quality and its importance in policy-making at the European level as well as for the introduction of 'new' quality assurance systems in different European countries. Some of the main questions the research project aims to address are: Who are the actors with the power to define what 'quality in higher education' means today; how do they reason; how is quality applied in everyday practices and in different institutional contexts: from the European Commission to a particular higher education institution in Sweden?